Need I say more? The title already says it all. 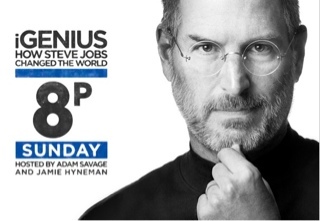 This is the first documentary that aired after Steve Jobs passed away. If you don't know him, it's worth watching to have an idea of how one man changed the modern world. If you already know him (like I do), it's great to reminisce all that he has done in the field of technology and the consumer market. The legacy of Steve Jobs will continue to have a ripple effect for the years to come. Long live, iGenius!